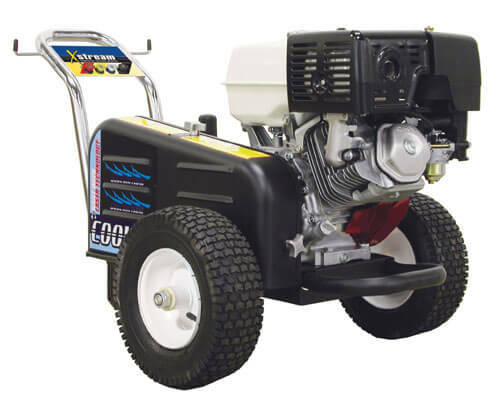 State of the art COOL DRIVE machines are the most durable pressure washers ever designed and made for commercial and industrial cleaning applications. As such, they are heavily used by the military. The units are equipped with a cooling system that contains air vents, a pulley system and cool air propeller which all work together to achieve a reduction in heat build up. This design prolongs the machine's pump life expectancy by up to 25%. The entire power washer system is set up on a stainless steel frame, which is then supported by two 13" solid foam-filled tires. Additional features include a chemical injector kit that allows an easy cleaning solution application on the surface being washed, 50' of non-marking pressurehose (does not leave rubber marks on the ground) for continuous and uninterrupted pressure washing, 4 spray tips (0-45 degree water spray disperse) interchangeable and practical for any powerwashing job, rust-free stainless steel frame, stainless steel safety belt guard, and a hi-rated trigger gun and wand for a good grip and smooth operation. 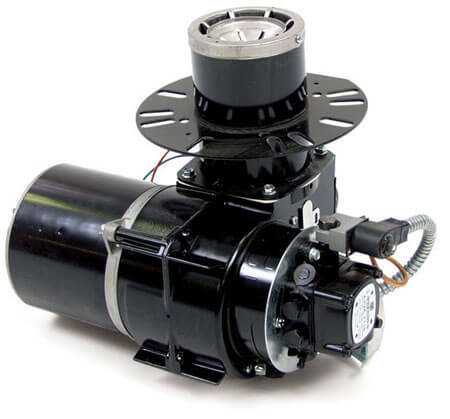 Also, these power washers are equipped with industrial rated water pump (choose from Cat, General or Comet), that can produce 4000 PSI at 3.5 GPM which will enormously speed up the cleaning process and will save you time and money on labor. 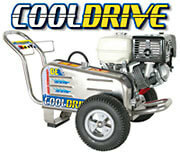 They come with the durable Honda GX or GC engines that represent the top of the line engines in power washing industry. All units are factory tested before being delivered to the customer. ...and you need a better pressure washer. 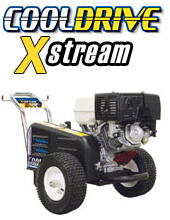 Cool Drive pressure washers run 25% cooler than any other belt driven pressure washer; thus increasing the pump life by 25% as well! Cool air is drawn through outer vents for cooling of pump. Laser aligned Patent Pending pulley fan system creates cooling air flow. This cooling air is being propelled over the pump resulting in 25% heat reduction. Free standing belt guard does not connect to engine, which reduces vibrations by 45%. Also comes with foam-filled tires and magnesium wheels, practically making this as close to indestructible as possible.